The sky above me and in the east was hazy, and the Northern Alps was behind clouds. As of 8:30 a.m., the temperature was +25°C at the summit area, where the gentle breeze was blowing. 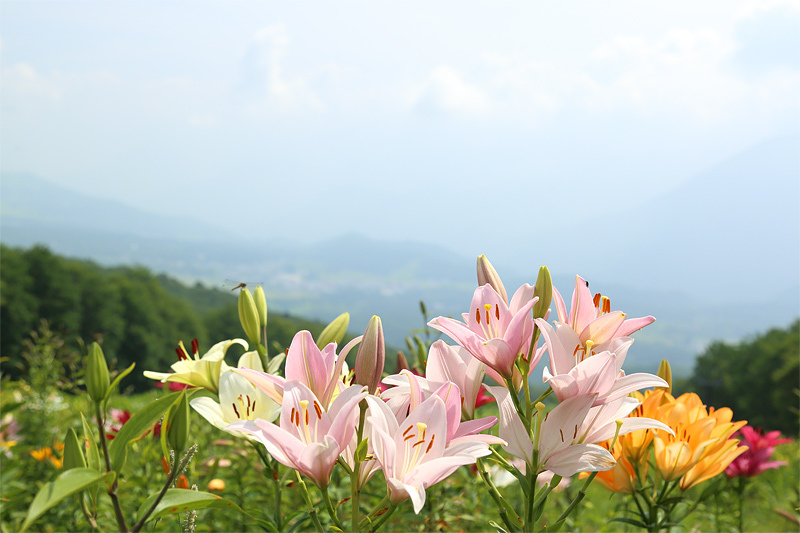 I saw lots of beautiful lilies at the lily park at the summit area. I guess we can appreciate lilies until next weekend because there were many buds as well. Undamaged lilies in the upper area of the east slope (shown in the photo) were about three-quarter in bloom. Meanwhile, there were lilies with brown leaves and stems in the area just below the observation deck. 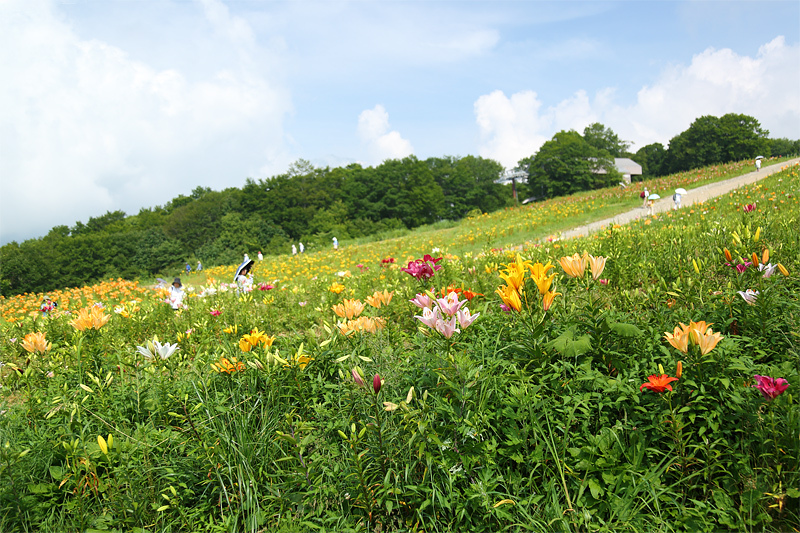 By the way, thunbeng lilies were getting out of bloom, while hybrid lilies began to bloom at the lily park at the foot. Dogs can play in tunnels, on seesaws, etc. and run around in “Wan-wan Park” beside Sky Arc. 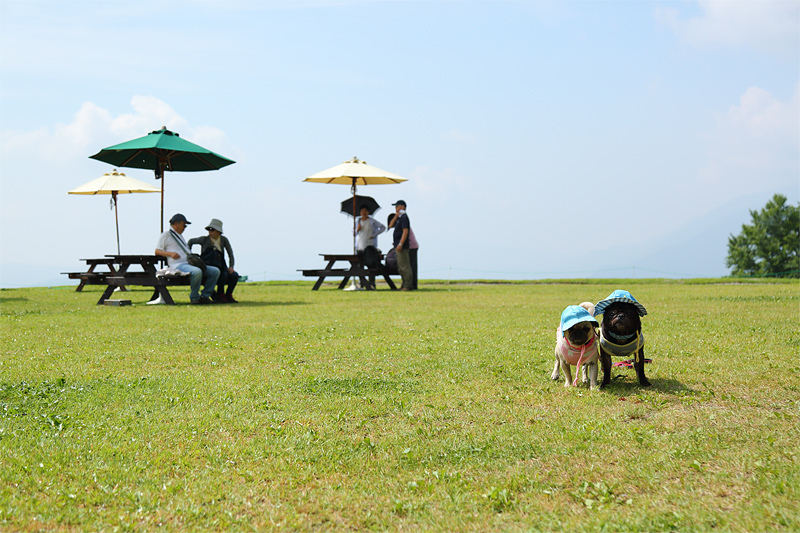 Momo-chan and Moka-chan coming from Ueda city (shown in the photo) were roaming around there, wearing their owner’s handmade hats. 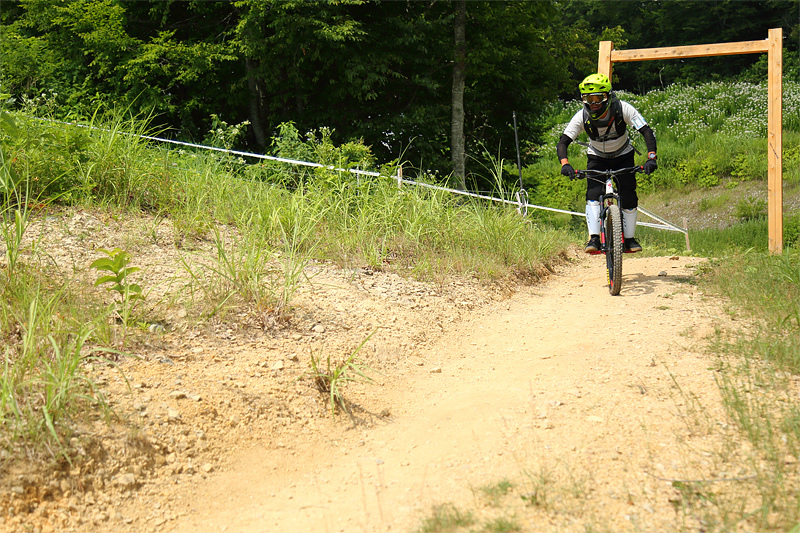 There were many people in Hakuba Iwatake MTB PARK as usual. I saw a number of people going on the Mountain Cycling Course after getting off the gondola as the first run. The course is about 1,200m and mainly for beginners. It is a gentle downward slope but it gradually turns to a winding upward slope as you go. It was cool but I got hot as I had exercise because the sunlight was strong. 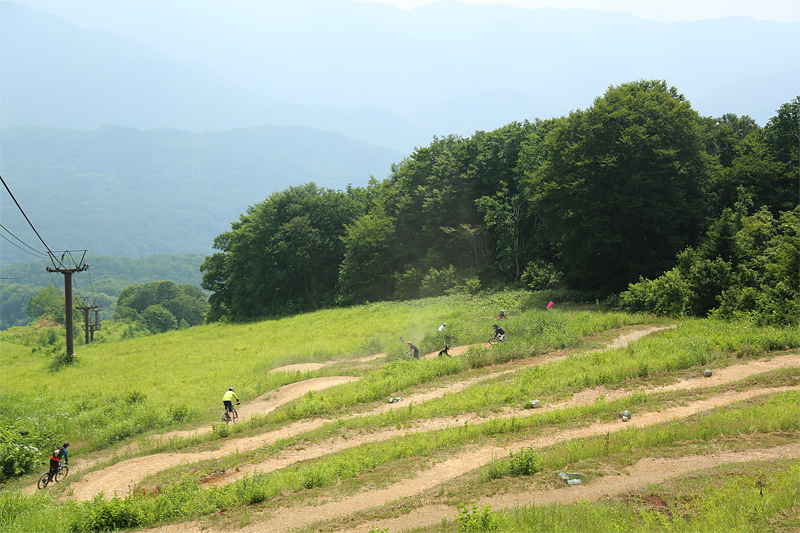 I saw people sitting and having a break at Sawa-lift station, which is the goal of Mountain Cycling Course. People heading for Alps Downhill Course accelerated and went into the forest with a cloud of dust. * We would like to express our sympathy to all the victims of the West Japan Heavy Rain. * Hours … 8:30 a.m.－5:00 p.m.
→Advance Ticket, Adult: JPY1,700, Child: JPY950!